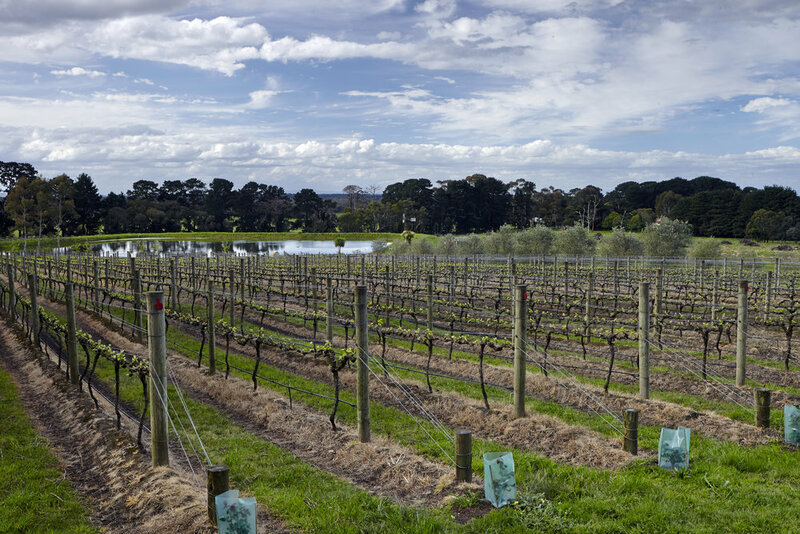 Balnarring is a foothills vineyard situated East of Merricks and atop the Tubbarubba plateau at an elevation of 95 metres. The combination of a Northerly aspect and lower elevation means that this vineyard ripens a week earlier than Merricks but still two weeks later than nearby Tuerong. The character of the wines is somewhere between Merricks and Tuerong, with riper flavours but still excellent retained acidity. The soil in this vineyard is known as Bittern Complex which is a thin layer of grey sandy topsoil over a yellowish chromosol clay. Moderately fertile but with good water holding capacity, these soils produce low crops of concentrated character.